The government on Thursday revised the economic growth rate upwards to 7.2 per cent for 2017-18 from the 6.7 per cent estimated earlier. According to the revised gross domestic product (GDP) data, released by the Central Statistics Office (CSO), the demonetisation year, 2016-17, saw a growth rate of 8.2 per cent, the highest in the five years of the Modi government. Earlier, the growth rate was estimated at 7.1 per cent. Advance estimates, which are not given in this data, have pegged growth at 7.2 per cent for the current fiscal year. Now the high base effect of 2017-18 might have a downward impact on the numbers for the current financial year. Soumya Kanti Ghosh, chief economic advisor at the SBI group, has pegged the growth rate in 2018-19 at 5.9 per cent. Growth in the demonetisation year was scaled up despite the fact that the growth rate for manufacturing, which gave a boost to the economy that year, was retained at 7.9 per, and slightly revised up to 5.9 per cent from 5.7 per cent for the next financial year. Experts say the revised data should be interpreted with caution because the new numbers did not seem to reconcile with the ground realities. “One has to be very cautious. While not countering the methodology, the new numbers for the demonetisation year are not in sync with the ground realities,” CARE Ratings Chief Economist Madan Sabnavis said. He said the data on corporate performance, medium-scale industries, and agriculture did not “tell us that the economy grew at the fastest rate in the year of demonetisation” when the cash was squeezed. The growth rate in the year of demonetisation was revised a bit upwards in the services sector. Growth in the trade, hotels, transport and the communication sector saw the revision to 7.6 per cent from 7.2 per cent in FY17. However, for the very next year, FY18, the growth rate in this services segment was scaled down to 7.7 per cent from 8 per cent. 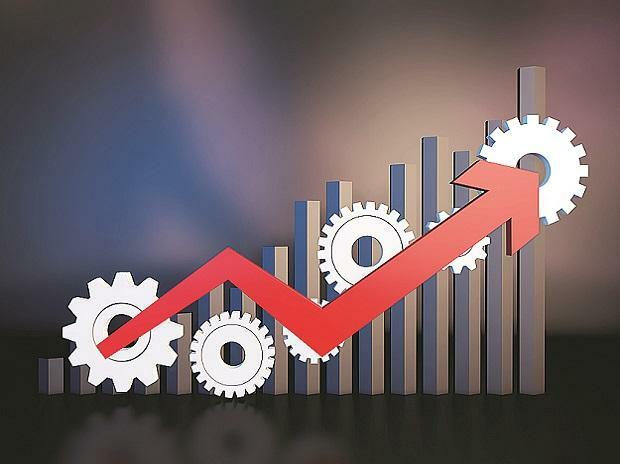 Similarly, the financial, real estate and related sector saw the growth rate revision to 8.7 per cent from earlier 6.6 per cent for the demonetisation year. However, the growth rate was now less at 6.2 per cent for FY18 against the earlier calculation of 6.6 per cent. It was agriculture that saw the growth rate moving to 5 per cent against the earlier 3.4 per cent for FY18. For FY17, the growth rate in the primary sector stood the same at 6.3 per cent. Demonetisation now seems to have affected investment. The gross fixed capital formation growth rate is now calculated at 5.8 per cent for FY17, a sharp downward revision from the earlier calculation of 10.1 per cent. However, it jumped to 12.9 per cent for FY18 against 7.6 per cent. It seems demand in the economy was not as bad as had seemed earlier. In the demonetisation year, private final consumption expenditure growth is now seen at 8.2 per cent against 7.3 per cent estimated earlier and for the next year at 7.4 per cent against 6.6 per cent. Ghosh said demonetisation might have forced people to advance their spending with the old Rs 500 and Rs 1,000 notes, which was seen in the demand growth in FY17. That is why demand growth came down the next year and was projected by advance estimates to stand at just 4.2 per cent in FY19 , he said. Earlier, 2015-16 was seen as the highest growth year for the Modi government at 8.2 per cent, which now stood revised to 8 per cent. The first year of the Modi government — 2014-15 — and the last two years of the UPA — 2012-13 and 2013-14 — saw no revision in growth rates.